How is the Gainesville, Florida real estate market doing? 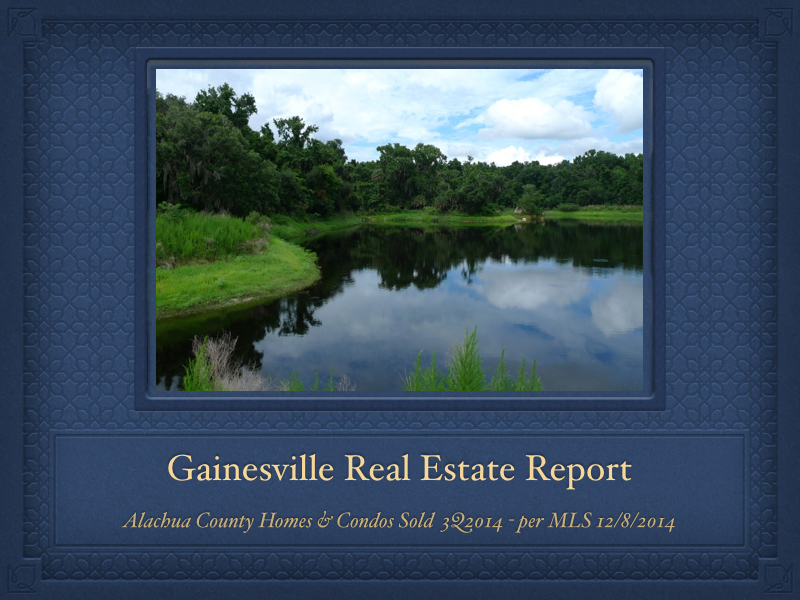 An analysis of the 2014 Gainesville and Alachua County real estate market through the end of September 2014 shows that it continues its slow but steady recovery. Home prices are up for both Gainesville single family homes and condos. It’s taken less time to sell Gainesville homes and condos in 2014 than it did in 2013. This video analysis provides a more complete picture of the 2014 Gainesville and Alachua County real estate market. Here is a selection of Gainesville homes currently for sale. Just click on each thumbnail to view details of each home.